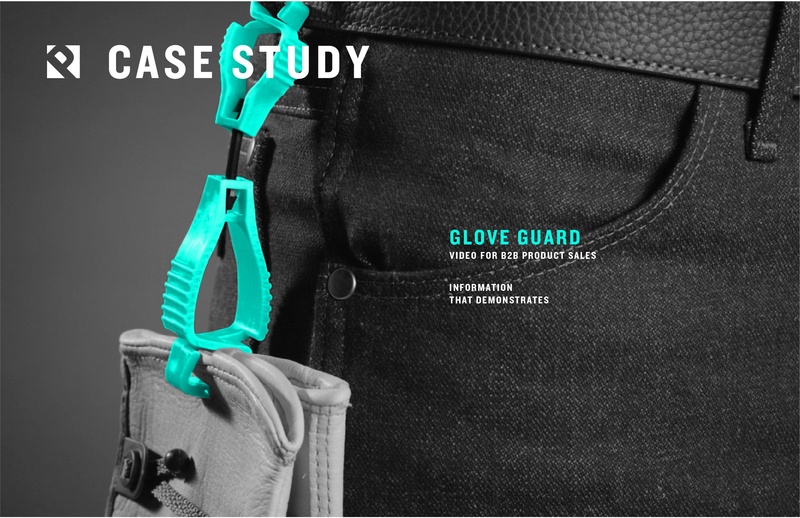 Glove Guard is a personal protective equipment (PPE) manufacturer committed to simple tools with unique designs. 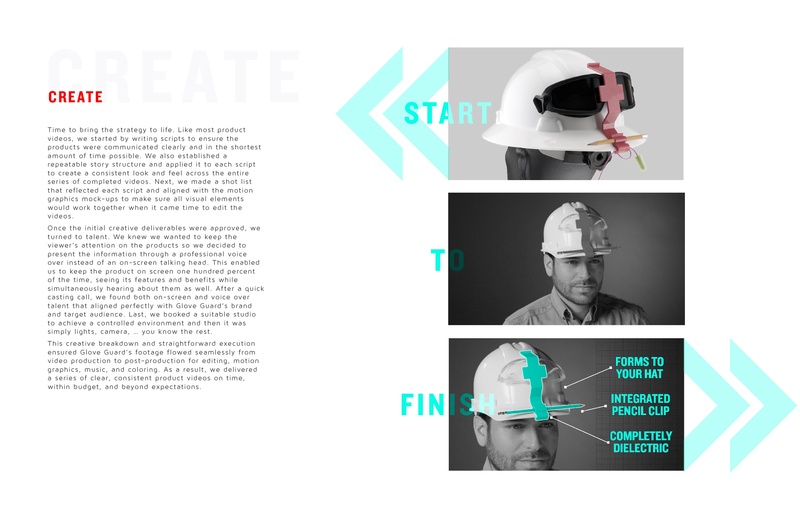 The company services the industrial sector with a variety of product lines including glove, hat, and glasses clips that keep workers safe, comfortable, and productive. Additionally, Glove Guard takes its products a step further than the competition with custom colors and logo imprints. Given the sheer volume of manufacturers in the PPE market, the need here was simple - make Glove Guard’s top products stand out among the competition. 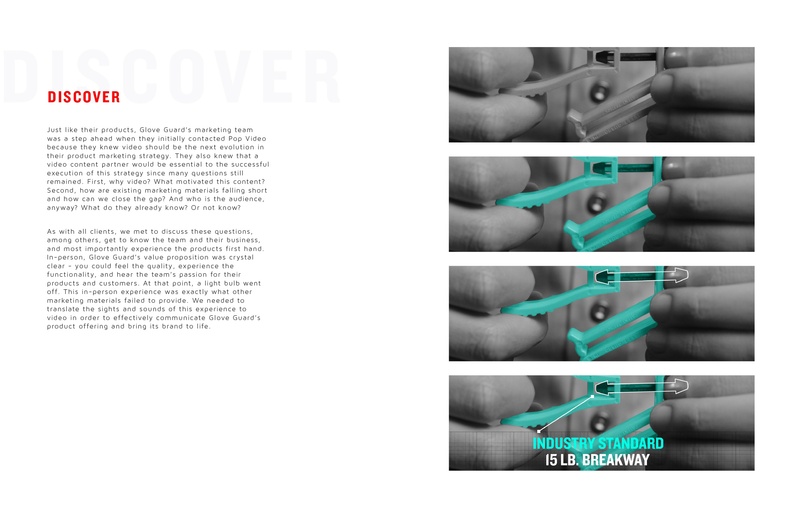 Fortunately, Glove Guard’s value proposition is clear and genuine - quality, originality, and functionality - but these intangible features are some of the most difficult to communicate effectively in a written brochure, PowerPoint, sales email, or photo. How exactly do you bring these features to life and communicate them to sales prospects on a website, in an email, or at a trade show? Video. 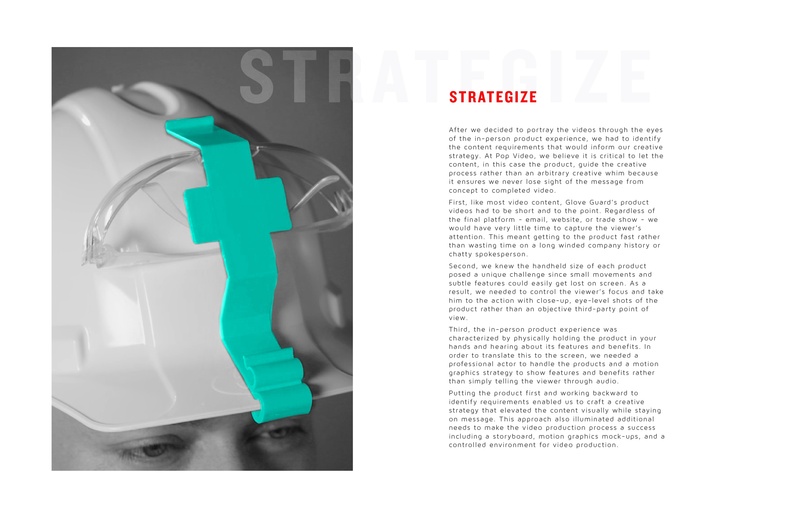 Not to give away all the goods from the case study, but our process includes the following steps: Discover, Strategize, Create, Manage and Leverage. Learn more about our process, here. 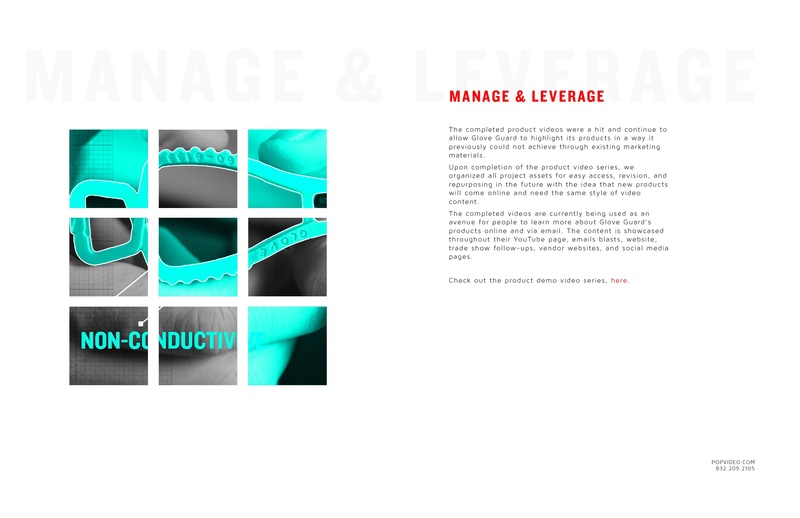 Check out the full case study, here. And watch all the videos from the project, here.